RZA is an American rapper, actor, director, musician and music producer. Read this biography to know his birthday, childhood, achievements, family life and other fun facts about him. 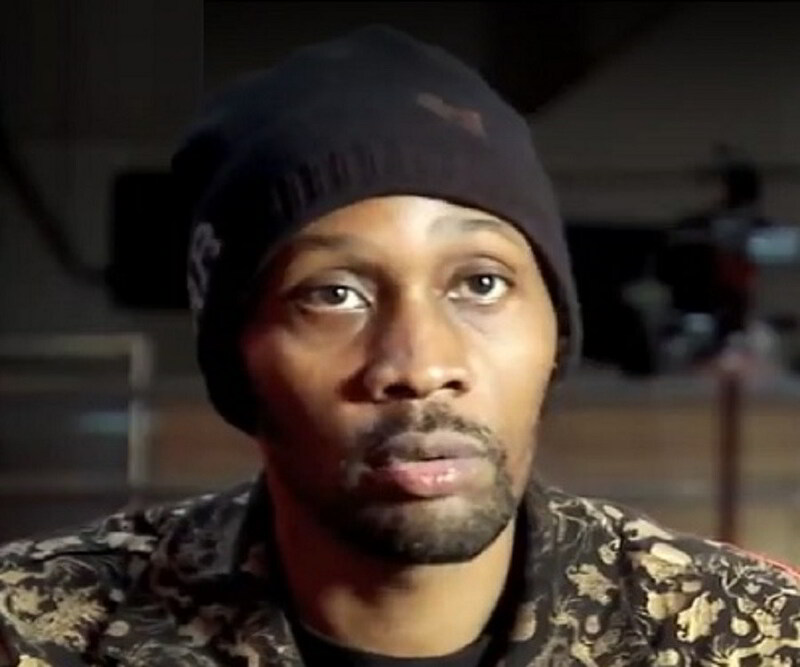 Robert Fitzgerald Diggs, popularly known as RZA, is an American artist who has adorned various hats in his lifetime - as a rapper, actor, director, musician and music producer. 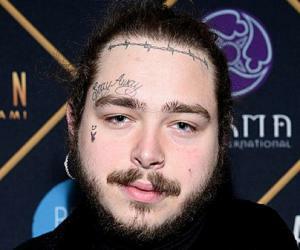 His musical ingenuity and artistic talent have earned him a huge fan following that is a testimony to his large-scale contribution to the entertainment industry. Known by numerous names such as Bobby Digital, The RZArector, Prince Rakeen and Ruler Zig Zag Zig Allah, RZA is truly a supremely talented artist. His career in music took off when he served as the de facto leader of the self-founded group, Wu-Tang Clan, that revolutionized the hip hop industry in the 1990s. He produced almost all of the group’s albums and several of their solo and affiliate projects. 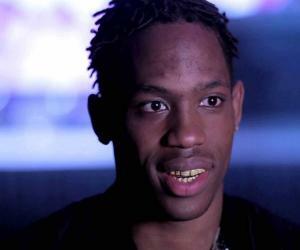 He even founded the horrorcore group, Gravediggaz. Alongside, RZA embarked on a solo career in music under the alias ‘Bobby Digital’ and recorded for the albums, ‘Bobby Digital in Stereo’, ‘Digital Bullet’, ‘Birth of a Prince’ and so on. In addition to this, RZA became a composer towards the 1990s, scoring for a string of flicks. However, what earned him widespread acclaim was his foray into acting and direction. He has played supporting roles in numerous television and film projects, such as ‘American Grangster’, ‘Brick Mansions’, ‘Coffee and Cigarettes’, ‘Gospel Hill’, ‘Californication’ and ‘Gang Related’. He made his directorial debut with the 2012 film, ‘The Man With the Iron Fists’. RZA was born as Robert Fitzgerald Diggs on July 5, 1969 in Brownsville, Brooklyn. He has a younger brother named, Terrance Hamlin. As a young boy, RZA spent much of his early years in North Carolina with his uncle who encouraged him to study. It was at the age of nine that he was introduced to hip hop music. Within two years, he started competing in rap battles. In 1990, he relocated to Steubenville, Ohio, where he lived with his mother. The move however proved to be disastrous. While in Steubenville, he got involved in petty crimes and drug dealing, and he was eventually charged of a murder. In 1991, he formed a rap group, ‘All in Together Now’, with his cousins Russell Jones and Gary Grice. While the trio enjoyed local success, it never signed a record deal. Eventually, RZA embarked on his singing career by making his solo debut with the single, ‘Ooh I Love You Rakeem EP’ on Tommy Boy Records under the name, ‘Prince Rakeem’. 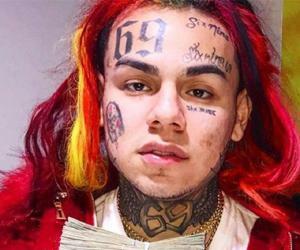 As his music career took off, so did his life. Acquitted of the murder charges, RZA started a new chapter of his life, terming it his ‘second chance’. In 1992, RZA sowed the seeds for the formation of a new group, Wu-Tang Clan, comprising of eight members, including his two cousins and five childhood friends. During the group’s creation, each member picked a nickname for himself and Diggs chose RZA. By December 1992, RZA’s Wu-Tang Clan came out with its first single, ‘Protect Ya Neck’. Following year, after Masta Killa joined the group as its ninth member, Wu-Tang Clan came up with its debut album, ‘Enter the Wu-Tang (36 Chambers)’. The album was highly acclaimed and earned its place amongst hip hop’s greatest and most influential albums. In fact, Rolling Stone included the album in its ‘500 Greatest Albums of All Time’ list. RZA’s role in the band soon turned him into a dictator. He produced the group’s singles, assigned tracks to the members, composed and arranged the instrumental tracks and oversaw the direction of the group’s albums. He was also involved in the creative process of the group members’ solo careers. RZA’s hunger for more creative endeavours led him to form a second group, ‘Gravediggaz,’ with rapper Frukwan, Poetic and Prince Paul. He worked under the alias The RZArector. Together, the group came up with the concept album, ‘6 Feet Deep’, and followed it with the 1997 album, ‘The Pick, The Sickle and The Shovel’. RZA’s inherent talent as a musician and producer made him highly demanded. Singers and artists wanted him to serve as their producer and remixer. He worked for numerous artists, including Shaquille O’Neal and Björk. Apart from being actively involved in production and remixes, RZA continued his solo career as a singer as well, releasing the hit single, ‘Wu Wear: The Garment Renaissance’. The song was a frontrunner for promoting the Wu-Tang clothing brand, ‘Wu Wear’. The track was a major hit and peaked at #6 on the Hot Rap Singles chart and reached the #60 position on the Billboard Hot 100. In 1997, RZA’s Wu-Tang Clan came up with their highly-anticipated second album, ‘Wu-Tang Forever’. The album saw RZA shed his ‘dictatorship’ for the first time, and the production appeared to be a team effort instead on being a one-man show. Between 1998 and 2000, RZA was not actively involved in the production of Wu-Tang’s solo album, though he actively contributed by recording one or two songs and serving as its executive producer. 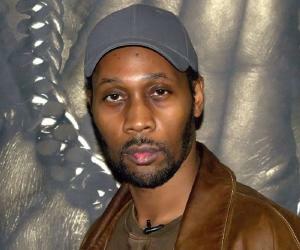 RZA turned into a director with the album, ‘Bobby Digital in Stereo’. Released in 1998 under his alt-ego ‘Bobby Digital,’ the album brought out a new aspect of him as it saw him moving towards keyboards rather than samples. In 1999, RZA started composing film scores. His maiden work was for Jim Jarmusch’s ‘Ghost Dog: The Way of the Samurai’. He not just composed the music for the film, but also managed a brief cameo appearance in it. The experience was riveting for him as he now wanted to learn to read and write music. In the following years, RZA came up with a couple of albums under the alias ‘Bobby Digital’, such as ‘Digital Bullet’ in 2001, ‘Birth of a Prince’ in 2003 and ‘Digi Snacks’ in 2008. Same time, he doubled up as an actor, playing supporting roles in films like ‘Coffee and Cigarettes’, ‘Derailed’, ‘American Gangster’ and ‘The Box’. He composed the score for the popular film series ,‘Kill Bill: Volume 1’ and ‘Kill Bill: Volume 2’. In 2007, RZA signed a deal with SRC Records. He also produced the score for the Japanese anime, ‘Afro Samurai’. Additionally, he came up with his instrumental album, ‘The RZA-Instrumental Experience’, which comprised of both his popular and not-so-popular tracks. From 2005 to 2008, he collaborated with ‘System of a Down’ bassist Shavo Odadjian on the project, ‘Achozen’. The group released two singles, including ‘Deuces’, which was included in the 2009 film, ‘Babylon A.D’. The group also recorded an album that has remained unreleased, although eight of its songs were released in 2015. In 2010, RZA worked on a solo album for GZA titled, ‘Liquid Swords II’, though the album never saw the light of the day. 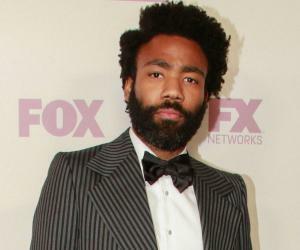 Same year, he collaborated with Kanye West for the latter’s fifth album, ‘My Beautiful Dark Twisted Fantasy’, and ‘Watch the Throne’ by Kanye and Jay Z. In 2012, RZA capped various hats. He served as the producer for Josh Osho’s 2012 debut album, ‘L.I.F.E.’. By August, he founded a new record label, Soul Temple Records, after a distribution deal with RED Distribution. He hosted an episode of the web series, ‘Equals Three’, and appeared on Earl Sweatshirt's album, ‘Doris’. He finished the year with the film, ‘The Man with the Iron Fists’, wherein he played multiple roles – as a lead actor, composer and debutant director. In 2013, RZA and Paul Banks collaborated for the album, ‘Anything But Words’, which released in 2016. In 2014, his group, Wu-Tang Clan came up with its sixth album, ‘A Better Tomorrow’. Much like his career in music, RZA’s career as an actor too flourished. 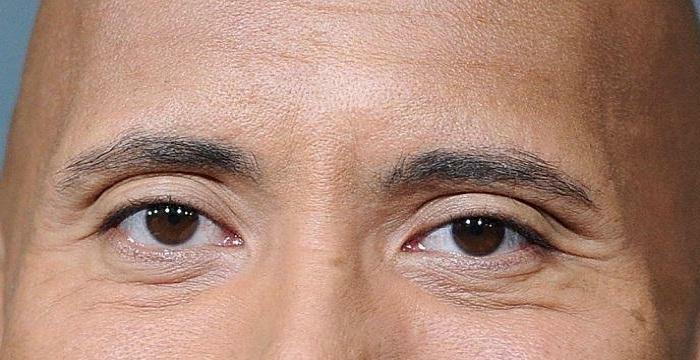 He was seen in ‘GI Joe Retaliation’, ‘Mr Right’, ‘The Man with the Iron Firsts 2’, ‘Popstar’ and ‘Brick Mansions’. He played the main antagonist in the martial arts film. ‘Tom Yum Goong 2’. He directed the 2017 film, ‘Love Beats Rhymes’. Big screen apart, RZA has showed off his acting skills in television as well with shows like ‘Californication’, ‘Robot Chicken’, ‘Gang Related’, ‘The Simpsons’, ‘Snowfall’ and ‘Fresh Off the Boat’. RZA’s most significant contribution to the entertainment industry has been his role as the de facto leader of the cult hip hop group, ‘Wu-Tang Clan’, which revolutionized the genre during the 1990s. As the torchbearer of the group’s productions, RZA gave them a boisterous and energetic feel that no hip hop groups claimed to possess. The group’s debut album, ‘Enter the Wu-Tang (36 Chambers),’ made history with its refreshing sound and music. It is regarded one of the greatest and most influential hip hop albums of all time. Rolling Stone even included it in its ‘500 Greatest Albums of All Time’ list. RZA was previously married to Eboni Mills. However, after his divorce with her, he married Talani Rabb. He has four children. 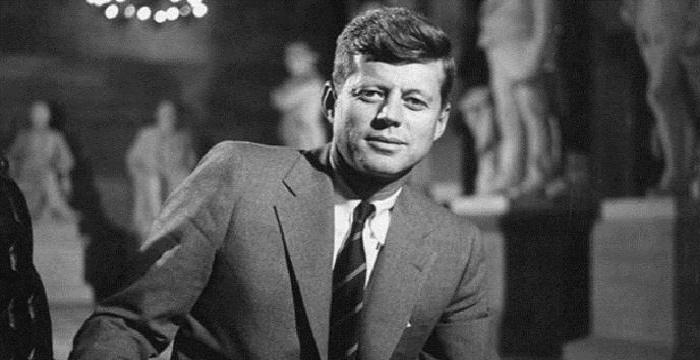 RZA was named after two prominent personalities, Robert Kennedy and John Fitzgerald Kennedy. His mother greatly admired both of them.